Today I welcome Bella Roccaforte to my blog with the cover reveal of the second book in her Ink series! Shay Baynes is being put through her paces. She’s under the threat of multiple murder charges, is being stalked by one of her fans and she’s dealing with the loss of her home as well as the mystery of what happened to Aiden. Everyone in her life is candy-coating the truth and treating her like a child. WOW! just wow~ 5 Stars , This book was enthralling, This Author is going places. Love the authors writing style…Bella Roccaforte knows how write a big finish to a story for sure. It was dark and a little disturbing at times, but that’s what pulled me into the story and kept me hooked. Writing is just one of her passions. She also loves music, reading, but most of all spending time with her kiddos. She grew up in New England where her brother, sister and many nieces and nephews live. She has lived all over the country. She currently calls Atlanta, GA home. 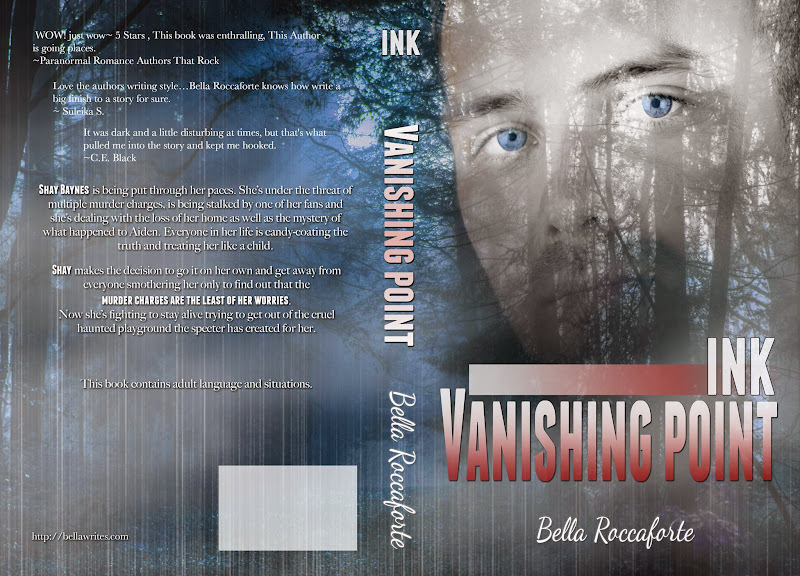 Bella Roccaforte, Cover reveal, covers, horror, Ink: vanishing point, Paranormal romance, writing. Bookmark.